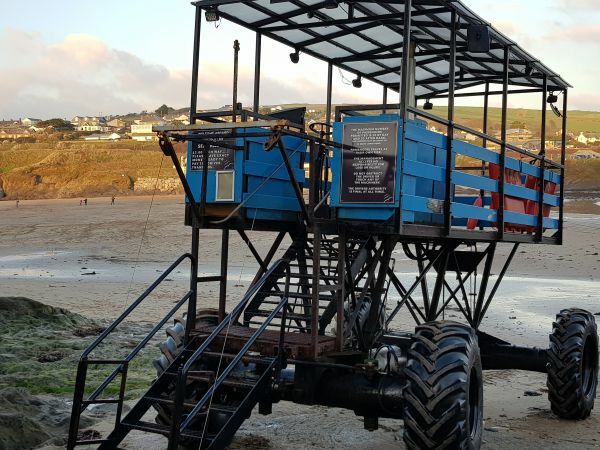 The Burgh Island sea tractor has long been a thing of fascination for me and, I am sure, hundreds of other people who visit Bigbury beach. It provides a novel way of getting over to the tiny island without getting wet feet. 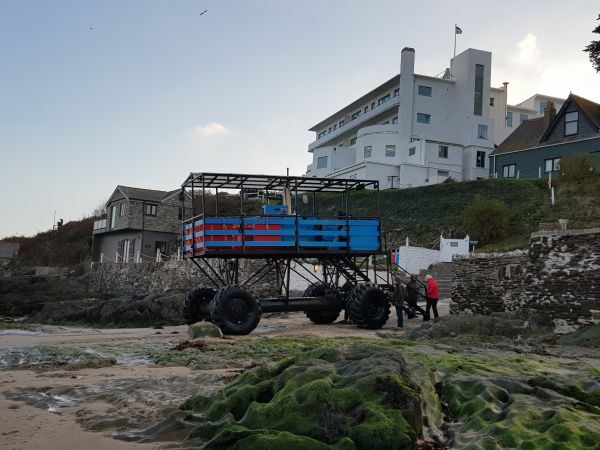 The fabulous Burgh Island is cut off by the tide from the mainland, leaving the trusty sea tractor to transport stranded holiday makers back to their cars. I remember going on this tractor when I was a child and the thrill of a ride now is exactly the same as then. My favourite beach is, and always will be, Bigbury on Sea. Not least because of the sea tractor. Of course, the reason for going over to Burgh Island now might well be to sample the selection of gins at the Pilchard Inn!